When going into a workout, the common person thinks the only thing they need to do is pick something up and put it back down and repeat. While they’re not entirely wrong, they’re also very far from being right. There are many things that go into having a killer physique and being in incredible shape. For the sake of time and the fact that I know no one wants to read pages and pages of info, I’ll help you out a bit and just narrow it down to 5 key things to consider in order to get the most out of your workout. When exercising, you need to implement intensity in order to create a demand on the muscles in order for them to strengthen and grow. Exercise intensity refers to how hard your body is working during physical activity. When implementing intensity into your workouts, it’s important to take note of what your overall fitness goals are; this will determine the amount of intensity you implement. For example: if you want to put on muscle, you’re going to want to lift heavier weights instead of lighter weights. An effective way to determine the amount of intensity you are implementing into your workout is by using your heart rate. Your target heart rate should be between 50-70% of you max heart rate when training for optimum results. To determine your heart rate percentage output, find your max heart rate by using the formula 208 – (0.7 x age) then from there you can find your target heart rate to workout. 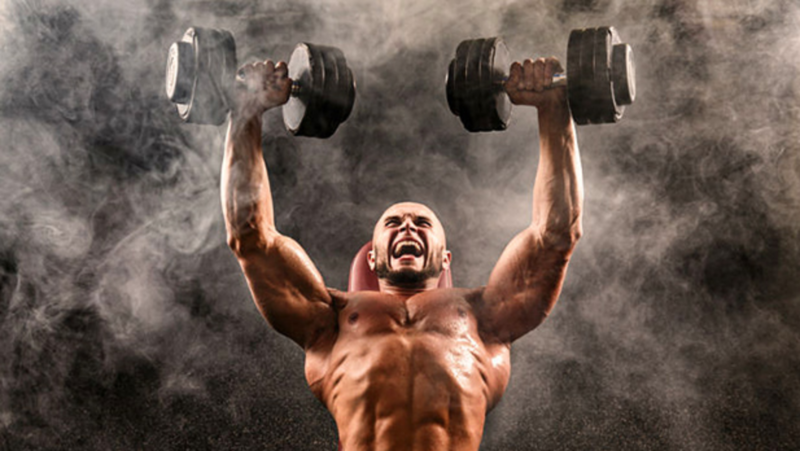 Volume is the amount of intensity you implement in your workout over a certain time period. These time periods can be measured in the hours and minutes you train at the highest level, or by the number of sets and reps programmed in your workouts. It should be noted that volume and intensity should be inversely related when training. For example, if you’re trying to put on muscle, your intensity should be very high; whereas, your volume should be very low. Such as doing 3 sets of 6 reps as opposed to 4 sets of 10 reps. Trained people, and in my opinion untrained people as well, can also benefit by replacing 10-15% of training volume with HIIT. HIIT stand for High Intensity Interval Training which has been found to be a very efficient way in burning fat while also retaining muscle mass. When performing HIIT, I always recommend doing 3 minutes of medium intensity followed by 1 minute of high intensity and repeat for 15 minutes. “Rest days are weak bro #nodaysoff” Alright buddy, well I hope you like torn ligaments and tendons later on in life. Rest is vital when it comes to exercising. Now I’m not saying taking entire days off and doing nothing, but I am saying that each muscle group should be given at least 24-48 hours rest before they are worked out again, otherwise you are just asking for muscle tears and weeks of pain. When it comes to rest DURING, exercise, it is a good rule of thumb that novice lifters should take about 2-3 mins between sets in order to allow the muscle to recoup enough energy to perform effectively during the next set. Advanced lifters should take about 1-2 mins between sets, and this is because once you’ve trained for a long while, the muscles become more efficient in recouping lost energy and getting ready for the next set. When you workout, you are tearing your muscle fibers and breaking down the muscle. Luckily, your body is equipped to heal those broken fibers and strengthen them, ut this can only be done through proper rest. Resting allows blood to flow to the muscles in greater quantities which allows a better delivery of oxygen to the muscle fibers, meaning they heal faster and more efficiently. Immediate recovery, which occurs during exercise, is the energy replenishment between reps of strides. Short-term recovery is the recovery of energy between sets of an exercise. Training recovery, and the most important form of recovery, is the rest between workout sessions. It should also be noted that recovery helps with reduction of muscle fatigue by supplying the muscles with the required energy sources in order to keep pushing through your workout. Muscle balance is probably something that many people have not acknowledged before. It is training all muscle groups so that they are all in proportion to each other. Muscle balance is important because not training every group in proportion/equally could lead to future injury. So yes, you do in fact have to go train legs regularly or else you will suffer lower extremity injuries further down the line. Muscle balance also applies to training each side of your body equally in order to have proportional strength on both sides. Cross-training: add variety to your workouts by doing different activities in order to recruit different types of muscle fibers. Ex: weight training followed by elliptical. Don’t skip out: DO NOT SKIP BODY PARTS. I can’t stress this enough, if you neglect to train a certain art of your body, you will not only e functionally disproportional, but visually you will look disproportional. Yes, we can tell that you don’t train legs. Train each side: Sometimes one side of your body is stronger/more fit than the other side. This could lead to functional inequality as well as visual imbalance. Make sure to factor in all 5 of these key points we have outlined here today, and we can promise that you will start getting a lot more out of your workouts and people will stop making fun of you for having small legs… because now you won’t… you’re welcome. Thanks for reading my article! If you enjoyed this, be sure to follow me on Instagram (@hender_fit) like my Facebook Page (Frat 2 Fit) and subscribe to my YouTube Channel (HenderFit) to enjoy more health and fitness content! Previous Alcohol = Bad For Fitness?? Next 5 Foods to Supercharge Your Diet! !